Over the last several years, the number of public health nurses has fallen by more than half. Dr. Eric Brown is a faculty member at Eastern Maine Medical Center's family medicine residency program. He often involved Bangor-area public health nurses in complicated pregnancies before the number of public health nurses employed by the state dropped by more than half. When Gov. Paul LePage took office in 2011, Maine employed about 50 nurses spread across the state whose job was to respond to disease outbreaks and other public health emergencies. They visited postpartum mothers and their babies at home, a strategy that can prevent infant deaths. And they provided school nurse services in rural schools that couldn’t manage to hire nurses of their own. Today, Maine has a staff of about 20 public health nurses still employed and visiting clients in the field. They no longer have office space. The program for which they work effectively lacks clerical support staff to purchase supplies, process travel reimbursements and help with patient referrals. The public health nursing program has one remaining nurse supervisor who doubles as the program’s director. In addition, at a time when Maine is seeing about 1,000 babies born each year exposed to substances in utero — who require medical follow-up and whose parents often require parenting support — the state’s remaining public health nurses have been directed to devote more of their time to Medicaid patients who are frequent emergency room users, according to a review of state documents and a former public health nurse who left the job last year. “It’s leaving a real gap,” said state Sen. Brownie Carson, a Harpswell Democrat. Carson is sponsoring legislation this spring to restore public health nurse staffing to its historic level of 50 full-time nurses in the field. His bill, LD 1108, is the subject of a public hearing on April 13 before the Legislature’s Health and Human Services Committee. Carson said he began working on the legislation after reading an August 2016 BDN Maine Focus story that detailed the dwindling ranks of public health nurses and major changes to the public health program that the LePage administration instituted with virtually no public discussion. The public health nursing program’s contraction wasn’t the result of a mass layoff or any legislative initiative. Instead, the LePage administration has repeatedly declined to fill staff vacancies as they’ve come up. And, as the BDN reported last August, Maine Department of Health and Human Services leaders have largely hobbled program operations since 2013 — when a LePage administration report with budget-cutting recommendations came out and identified public health nursing as an area to cut. For much of his three-and-a-half-year tenure as public health nursing director from September 2012 to March 2016, for example, Ted Hensley was prohibited from emailing his staff without approval from staff in Commissioner Mary Mayhew’s office, Hensley told the BDN last summer. And the elimination of program offices and administrative support staff left nurses with more paperwork to complete, but no desks where they could complete it. There has been money available to pay public health nursing salaries. In the current state budget, legislators allocated funding for 43 public health nurse positions — following the elimination two years ago of seven vacant nurse positions as part of budget negotiations. Traditionally, federal funds have covered 30 percent of the program’s positions. Even with the money set aside for 43 nurse positions, more than 20 are unfilled, according to a review of Maine Center for Disease Control and Prevention organizational charts obtained by the BDN and interviews with former staff members. The LePage administration’s two-year budget proposal currently before lawmakers proposes to eliminate eight more vacant nurse positions, as well as three supervisory and management slots. It would also eliminate most of the program’s remaining administrative support positions, which are vacant. “For us to have cut so deeply into such an essential service, without having a public debate on it, is just plain not right, and it doesn’t make sense,” Carson said. Even if legislators retain the positions in the budget — as Democrats favor doing — Maine DHHS leadership have confirmed to lawmakers that they won’t fill the positions. Legislation that specifically directs the department to fill the positions could change that. Carson’s bill directs DHHS to restore public health nurse staffing levels to 50 filled positions by Dec. 1. Of the nine lawmakers who have signed onto Carson’s bill as cosponsors, seven are Republicans. Maine has had public health nurses since the 1920s, when their primary mission was to improve prenatal health among expectant mothers and prevent infant deaths. 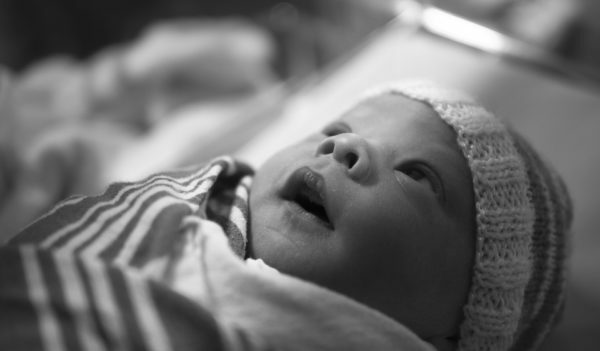 Today, decades of research have shown that sending a nurse into a new parent’s home, both prenatally and postpartum, is associated with a range of positive outcomes, from reduced likelihood of preterm births, infant deaths and child abuse, to improved language development and school readiness for the child and improved health for the mother. Doctors often depend on public health nurses to provide medical follow-up at home, and to ensure a new mother and baby are in a safe, healthy home situation. But with diminished ranks of public health nurses in Maine, health care providers can’t ensure that patients whom they think need a home visit from a public health nurse actually get it. When Mid Coast Hospital in Brunswick has referred moms and newborns for public health nurse visits in recent years, the hospital has noticed “a decrease in accessibility and increased declination of referrals by the Public Health Nursing service,” hospital spokesman Steve Trockman wrote in an email. In Bangor, staff at Eastern Maine Medical Center no longer know what becomes of a referral to public health nursing. That’s because EMMC is the only Maine hospital helping the state test out a streamlined referral system for new moms and babies in need of home visits, called CradleME, which began in 2013. As part of the pilot project, EMMC staff complete a single referral reform and fax it to Augusta, where Maine CDC staff have determined criteria for deciding whether a patient receives a home visit from a public health nurse (generally, if there’s a medical need). Alternatively, the state’s Maine Families home visiting service, which employs certified parent educators without medical training, might receive the referral and schedule a home visit. “I don’t have any mechanism to know what the result of the referral is, whether the family is actually getting served and, if so, by whom,” said Mark Moran, a licensed social worker who leads EMMC’s family service and support team. The state was expected to deploy CradleME statewide in 2015, but it still hasn’t. Sheila Wallace, who worked as an office associate for public health nursing before resigning Tuesday, said she has recently been tasked with making decisions about patient referrals that medical professionals previously made, such as triaging based on the level of need and making the initial decision on the type of service a client needed. With Wallace’s departure and another office associate on leave indefinitely, public health nurses now have no clerical support. When “they don’t allow you to hire the people you need, it leaves a lot of the stress on the people who were left,” Wallace said. 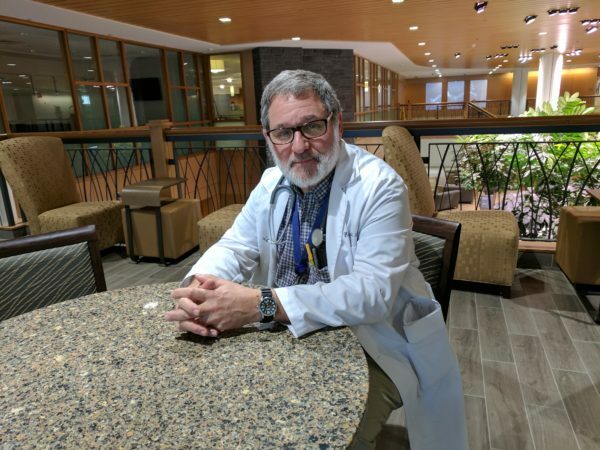 Dr. Eric Brown, a faculty member at EMMC’s family medicine residency program, often involved Bangor-area public health nurses in complicated pregnancies before delivery, such as a mother with an addiction, or a mother in a violent home situation. “Families that are chaotic, who have struggles, a lot of misinformation because of a whole bunch of reasons, that’s when the public health nurses were really helpful,” he said. Public health nurses, he said, could even track down homeless patients because of their familiarity with the communities where they worked. And, after conducting home visits, they could alert doctors to other medical issues they might not have been aware of otherwise, Brown said. Today, there are three public health nurses remaining in the greater Bangor region, who have been responsible for covering areas that stretch as far north as Lincoln and as far south as Waterville. Their coverage area also includes Piscataquis County. As recently as 2014, the state employed the equivalent of seven-and-a-half full-time nurses to cover the Bangor region. “My biggest fear is, it isn’t ‘if,’ it’s ‘when’ we get a SARS or something like that that’s going to come across the pond in some plane, land in Boston, and people are going to bring it up here, and now we have absolutely zero infrastructure,” Brown said. Containing communicable diseases has long been part of the public health nursing mission; it’s one of the service’s responsibilities that’s outlined in state law. But a limited staff has had difficulty recently keeping up with its responsibilities, particularly with highly contagious tuberculosis. Traditionally, public health nurses have trained health care providers on detecting tuberculosis. When they’ve had patients with either latent or active tuberculosis infections, health care providers have referred those patients to public health nurses to monitor their treatment. Ensuring that patients stick to their treatment regimen is critical to controlling TB’s spread. For a patient with latent tuberculosis, which has a 5 to 10 percent chance of developing into full-fledged TB, public health nurses typically visited monthly for nine months, Ronnie Paradis, who worked 10 years as a public health nurse in Lewiston until retiring in June 2015, told the BDN last summer. Recently, the public health nursing program began hosting monthly clinics in Lewiston and Portland to see patients with latent tuberculosis so nurses could catch up with a patient backlog, said Wallace, the office associate who resigned this week. But with so few nurses remaining — two Lewiston-based and three Portland-based nurses remain, compared with eight each traditionally for both cities — nurses from Aroostook County have traveled down to staff the clinic, Wallace said. Maine DHHS recently posted a job opening for a public health nurse in Lewiston. With one additional nurse, however, staffing in the Lewiston area would still be at less than half its traditional level. Peavey also said DHHS is working on a transition to electronic health records to “streamline documentation” and to generate more data on program performance. She added that DHHS will stop dispatching nurses from home, and nurses will return to being based at regional DHHS offices. The CDC “continues to improve our Public Health Nursing team to promote accountability and productivity, and to prioritize specific populations who require more assistance from the program,” Peavey said. The Maine CDC recently deleted its public health nursing web page, and CDC leaders have seldom spoken publicly about their intentions for public health nursing until recently, when they’ve discussed the topic with members of the Legislature’s Health and Human Services Committee. But he and Peavey didn’t tell legislators what their ultimate desired staffing level was. The City of Bangor’s public health department is one of those agencies that holds a CDC contract to visit new moms and babies; the city, with a combination of state and city funds, employs two nurses who conduct home visits within Bangor city limits. The state, however, hasn’t contacted the city about becoming part of what Pezzullo labeled the CDC’s “bigger system” for nursing services, said Patty Hamilton, Bangor’s public health director. One of the city’s nurses is participating in a state initiative called Bridging, through which the state makes nursing services and services from the state’s Office of Child and Family Services available to families with drug-affected babies, especially around the time of delivery. “It should be linking that person to whatever services they need in the community,” said Elaine Beaulieu, Bangor’s nursing manager. “It’s not anything different from what we do” normally, she said. If the CDC genuinely planned to rework public health nursing, said Carson, it should have done it following public debate, and following conversations that involved the state’s health care community.